This post is part one of a three-part series on Creating from Spirit – our journey from Serendipity to Synchronicity to Story. And as we shared stories of magic on our journey, people would line up after our presentations to ask us, “Can you teach me? How did you do what you did? Why are you ladies so…lucky?” We thought we’d share our own awareness-awakening – how we literally, and figuratively – journeyed from getting lucky, to being lucky, to creating our own luck. Have you ever met Lady Serendipity? We did. She changed our lives. Back in 2009, in Singapore, we were seen as two successful TV Producers who’d just debut a hit series on National TV. Our ratings were high, viewers were writing to the station to rave about the show, our Facebook page exploded overnight. We should’ve been celebrating. But we didn’t. We couldn’t. To produce the series the way we wanted to, with the integrity we wanted to, we burnt a hole in our pockets, our bodies, and our souls. Each congratulation felt like salt on wound, reminding us of this hole that wouldn’t go away. We did the one thing we could. We escaped. We took next month’s rent, boarded a plane, and headed towards the gorgeous beaches of Taiwan. The thought of sea breeze, warm sand, and nobody talking to us about the show felt immensely comforting, as we looked forward to rejuvenating our souls. We landed to a typhoon alert at Taipei International Airport. The entire east coast of Taiwan was closed. All our bookings were cancelled. No beaches. No BnBs. Nowhere to go. We found ourselves walking toward the tourism office – the last place we thought we’d walk into for travel recommendations. “Are there any other beaches that might be open in Taiwan, despite the typhoon?” Our ask sounded more like a plea. Of course she was going to refer us to an ocean amusement park! She’s from the tourism board. Did we really wanna spend our retreat in park filled with other tourists, waiting in line for rides? “Is that the only place?” we implored. Well at least it’d be next to the ocean. We shrugged and said yes, please. The lady picked up the phone and dialed the number to the resort. You mean in the entire year, they close only once for maintenance, and it had to be this week? How hard was it to find a beach on an island surrounded by the ocean? Shoulders slumped and really, really bummed, we muttered our thanks and began walking out of the office. We caught a gleam of hope for some beach vacation time. The photos did show the sun setting against the ocean. We held our breath as she made the phone call. “All done!” She beamed. After a day of no-gos, we were quite ready to set off for the beach. Our spirits were picking up…Until we saw the instructions she penned down for us. 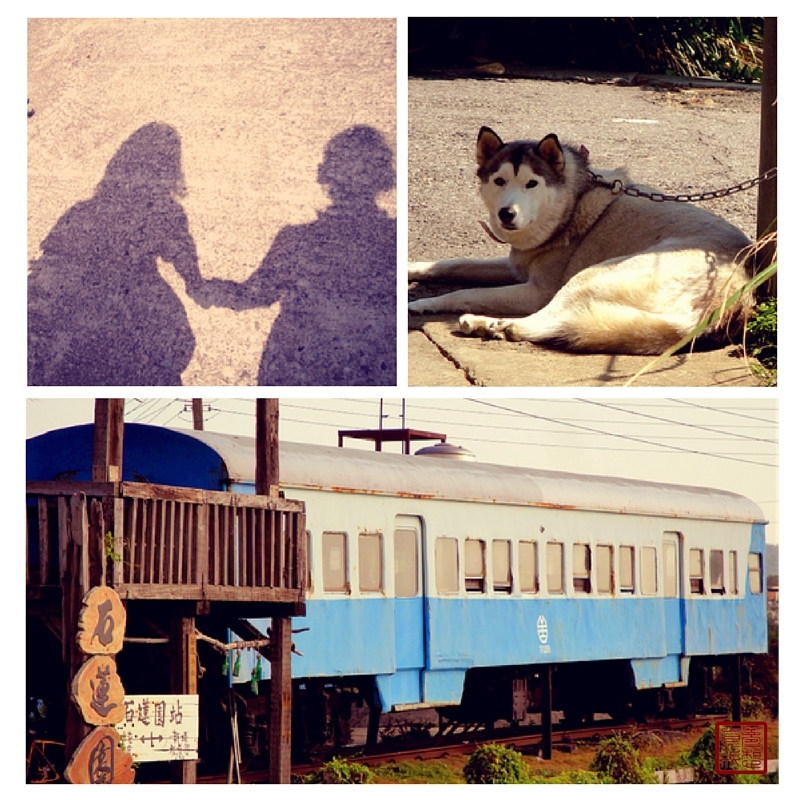 It involved a two hour train ride on the slow local train, exiting through the back door of the train station, 3 left turns along the dirt path, and following a dog. This was not what we signed up for. 3 hours later, we arrived at a BnB next to the ocean. Yep, the dog brought us there. It was at this BnB that we met the elderly gentleman (Luo Papa) who inspired our journey. That trip changed our lives forever. All we were looking for was a beach vacation. But a series of serendipitous events led us to the very man that woke us up from our cookie-cutter lives, and a promise that led us on cycling journey; which led us to this very work that we’re doing. We were looking for a beach vacation. But we wound up rediscovering the dreams we left behind, and a journey to find our whole selves back. It was as if a crane came, lifted the both of you out of your lives, put you on your path and said, “From now on, this is where you go”. Numerous people have told us how lucky we are. Thousands of possibilities could’ve happened on that trip to Taiwan. What was the probability that those very events would lead us to this? And then, we kept getting lucky. For example, we thought we were only gonna find enough funding to do one round-island trip in Taiwan with Luo Papa, to help him fulfill his last dreams. But we wound up with all the resources anyone could’ve asked for, for a round-the-world cycling journey – including rtw air tickets. For example, we thought we were only gonna go around the world to collect and document people’s dreams behind our cameras. But we wound up sharing these stories on stages of every possible venue, to hundreds and thousands of audiences across the spectrum – including two TED events. For example, we thought we were only looking for places to stay for the night before we moved onto the next destination. But we wound up in the homes and paths of normally elusive masters – shamans, healers, seers, keepers – who’d not only host us, but sat with us and taught us everything they knew. Each lucky encounter enforced our belief that every occurrence on this journey was bestowed upon us by serendipitous forces of the Universe. 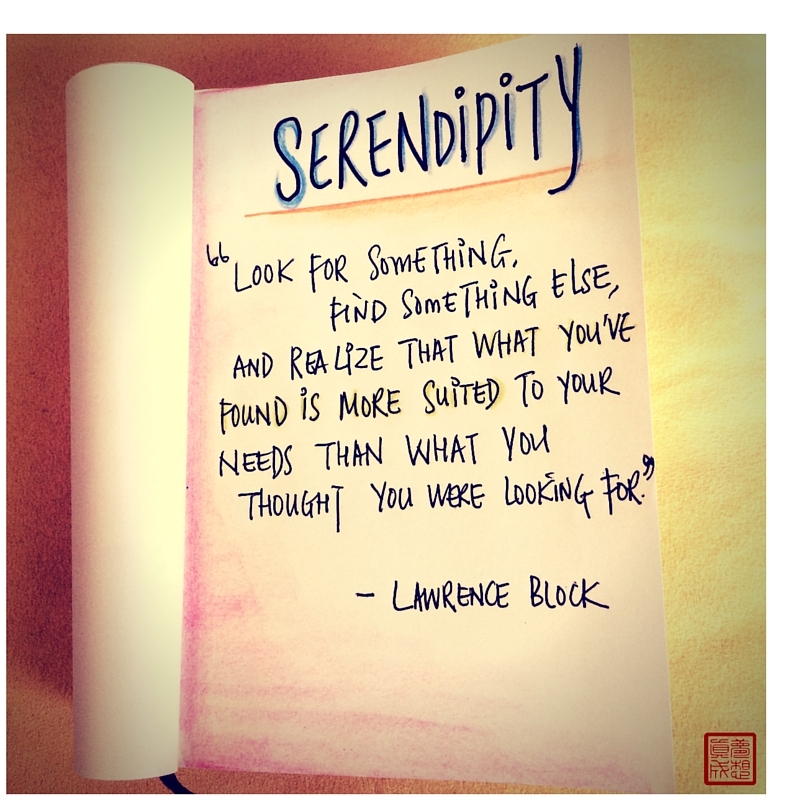 We celebrated each serendipity, and moved on to another, and another. And another. We got so good at it, we became Master Serendipitists – people with exceptional aptitudes for making desirable discoveries by accident. What about you? Are you a Serendipitist too? Before we move onto the next part of the part of this series, we’d love to hear your story. Leave a comment below and tell us how you “got lucky”. Or click and tweet to join the conversation.